If you had your way, you’d probably spend more time outside your home than inside. Especially when the weather is like it is so much of the year in our part of the country. That’s one reason why grilling is so popular. There are books and magazines, dedicated to the “sport” of grilling. If you would rather be outside than inside an Outdoor Kitchen may be the perfect addition to your home. Not only will it get you outside more often, but you may find yourself entertaining more, being with family more and enjoying your entire house just a little more! We have your Outdoor Kitchen ideas! ContractorMen always recommends that you splurge on an element or two of your outdoor kitchen. What is really important to you? How do you see yourself using the kitchen? What events or activities do you want to be able to have in your new outdoor kitchen? The answers to these questions will help you choose what elements to include in your outdoor kitchen wisely! If you are a fan of making pizzas in your own wood burning pizza oven then this is a great add on to your outdoor kitchen. We can create your oven brick by brick or we can purchase and install a pre-fabricated brick oven. The fireplace is a focal point for many outdoor kitchens. The design of the kitchen can incorporate the fireplace in such a way that an outdoor family room can be created and a TV mounted above it to watch all your favorite sports and movies. Have the fire place installed on a wall on your home for a see through fireplace that can be enjoyed inside and out. One of the main reasons for building an outdoor kitchen is to cook outdoors. We recommend that the grill is one of the elements that you probably want to splurge on. To ensure your grill does not rust, buy one that is high grade stainless steel. If you are trying to stay within budget, you may want to go the propane route. If you prefer to always have gas for the grill and not worry about it, have a line run from your grill to your propane tank. A well designed kitchen with good seating around your countertops will ensure you are part of the party instead of always in the kitchen. 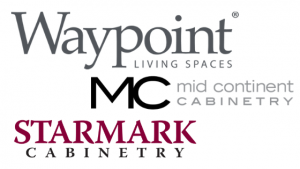 The experts at Contractormen can install your countertops professionally. Consider a countertop choice that can tolerate the weather and everything the outdoors will give it. Bar height countertops will invite guests to pull up a stool and gather around you to chat while you mix the drinks and cook. Don’t forget the he all-important shade for your outdoor kitchen. There are many options, depending on your budget to shield you from the sun’s rays and keep you and your food from drying out or being rained on. We recommend a gazebo, awing or full coverage roof for your space. Shade not only protects your food, but it protects the equipment and the furniture from being in the sun season after season ensuring it will last longer. 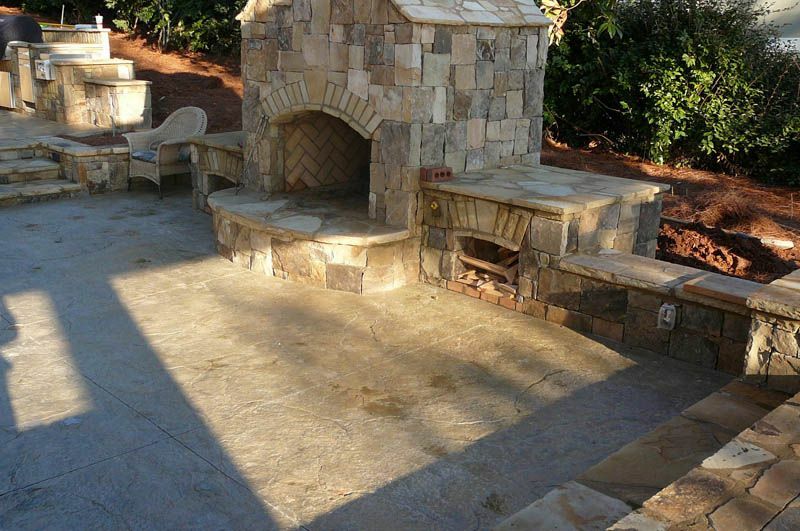 Outdoor kitchen flooring can be as easy as grass and as elegant as stone and everything in between. The experts at ContractorMen can help you make a good selection based on your style and budget. They’ll introduce you to your choices of stone, decking, pavers, concrete and stamped concrete. Clean up is much easier if your outdoor kitchen has a sink and a garbage disposal. If you don’t relish the thought of hauling dirty dishes inside to take care of them, a sink for your outdoor kitchen is a must. Adding a sink also means adding a water line with proper drainage – that will add to your budget. It’s all a matter of choice! Our precise workmanship ensures your satisfaction. Our clients are always happy when they choose us to expand their livable space throughout the year by adding an outdoor kitchen to their backyard. No matter the budget, call or contact ContractorMen, we can help you plan and execute your wants and needs, creating the perfect space to cook and entertain outdoors for years to come!